The compact design of the ABACO Little Giant Lifter 75 Black Rubber will help solve the problem where head room is an issue. 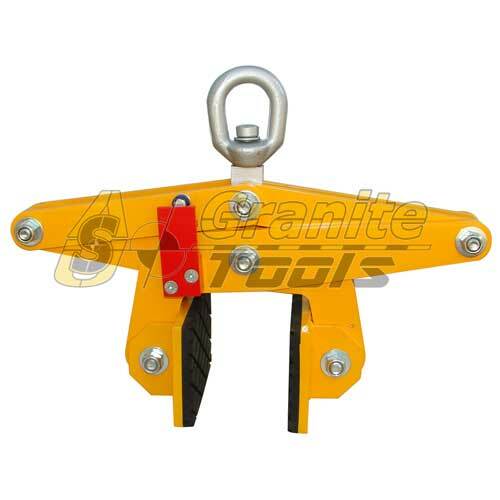 This ABACO Little Giant Lifter 75 Black Rubber is available with either black (ALG75-B) or white (ALG75-W) rubber. 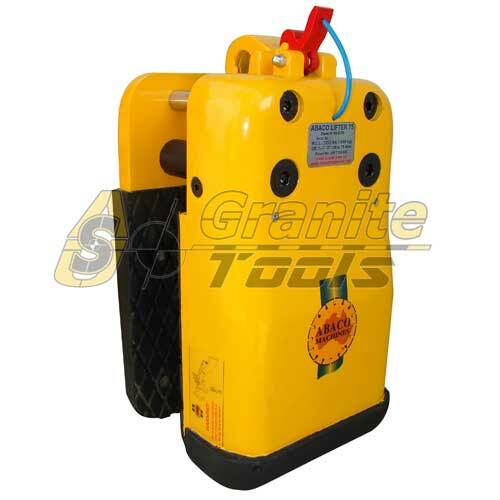 Application: For material thicknesses of 15 to 75mm, these Lifters with their rubber lined jaws have been developed to handle material in slab or sheet form, stacked in racks, without damaging the material’s surface. 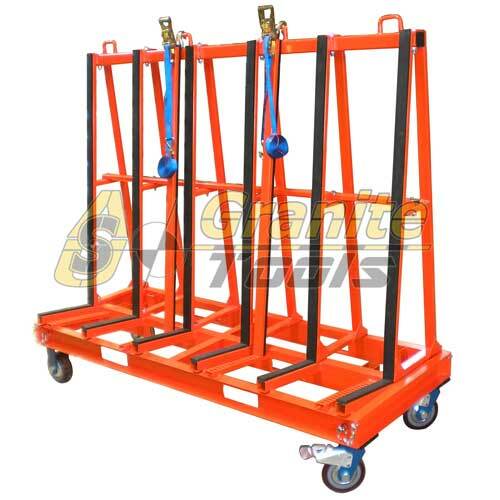 They have a number of advantages over common lifting devices. Safety: The new Abaco Lifter has an unbreakable center plate. 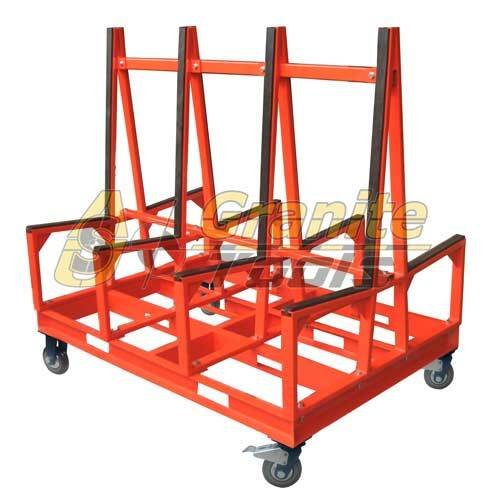 Size: Its compact design allows for closely packed slabs to be lifted out of racks and containers. Having lower height slabs placed along side of taller slabs offers no problem as is the case with scissor clamp style lifters. Versatile: Ideal for construction work, the gripping mechanism is to the front of the slab, allowing for panels to be placed close against walls. 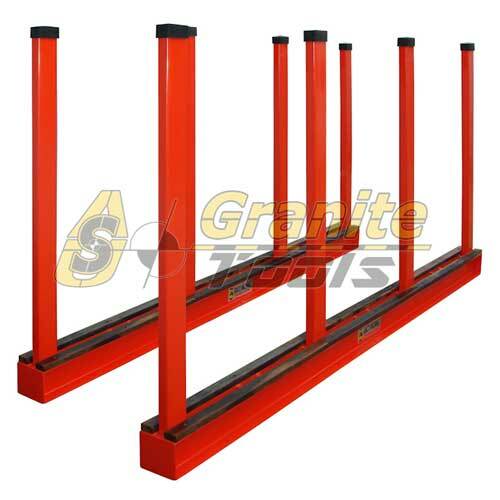 Secure: This series of Lifters grip slabs firmly. They have a force-multiplying factor of approximately 2.7 to 1, compared with the old Lifter of 2.5 to 1.